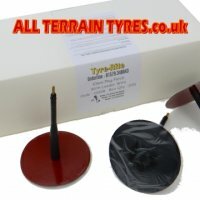 The combimation plug patch is the best way to repair straight through puncture penetrations in the tread area of tubeless tyres on road going vehicles, as recommended by the British Standard BSAU159f. The patch seals the puncture and reinforces the tyre liner whilst the rubber stem plugs the hole to prevent dirt and water from further damaging the tyre casing. We always recommend using a carbide cutter to prepare the injury hole to ensure a perfect and permanent seal. 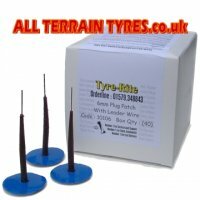 Choose from our own high quality Tyre-Rite plug patches or Rema Tip-Top Minicombi repair units.